The 3 TOP REASONS why you should buy a good Digital Piano over an acoustic piano! 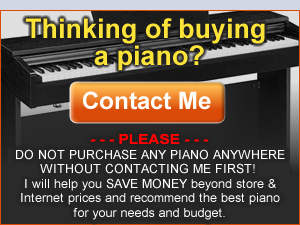 A must read comparison report for every piano shopper. 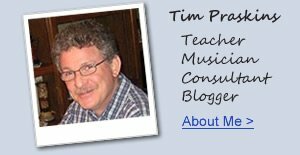 UPDATED: May 20, 2018 - I have been a professional musician and piano teacher for over 40 years and I started when I was very young. In all that time I have played just about every brand of acoustic and digital piano that there is and have played literally thousands of different pianos over the years...so I do know a bit about them:). However, given the fact that I love to play piano for other people, for my own personal pleasure, and to help students enjoy playing music as much as I do, there are 3 important things that I believe makes playing a good digital piano a better experience for most (but not all) people than playing a good acoustic piano. 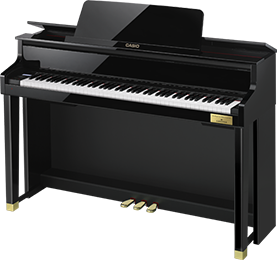 I recommend good new digital pianos to many of my piano students, friends, and family, although I still do enjoy playing acoustic pianos as well, especially high quality acoustic grand pianos:). 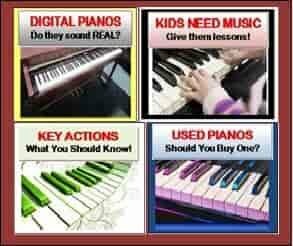 Below are the 3 top reasons why digital pianos can be a great purchase for many piano shoppers including you. 1. No Tuning - Nearly all current digital pianos do not go out of tune! They have permanent tuning and have been tuned relative to a real acoustic piano so that the digital piano will always sound good regardless of the weather of humidity levels. 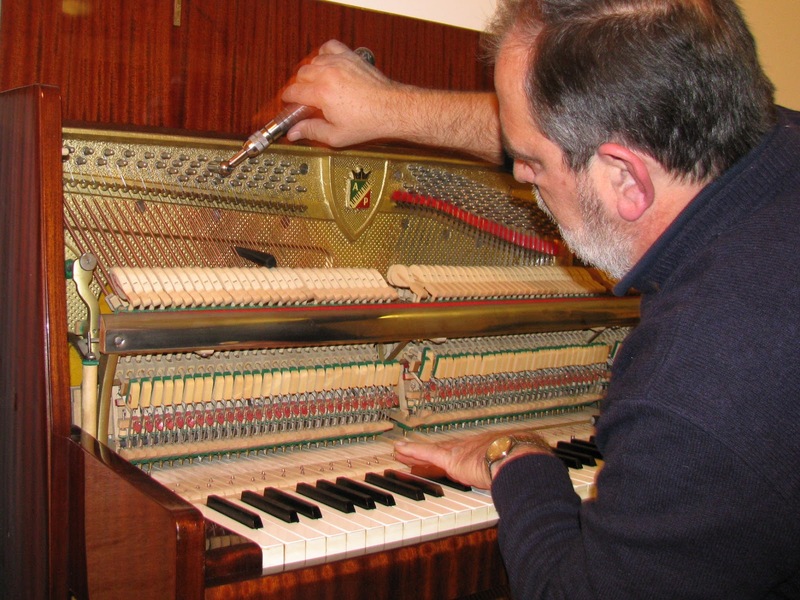 This is a big problem for acoustic pianos as they constantly need tuning, just as other stringed instruments do such as harpsichords, guitars, violins, harps, mandolins, and other stringed instruments. When a piano is out of tune it's just not fun and enjoyable to play, at least it isn't for me. I can tell when a piano is out of tune but unfortunately do to the fact that pianos have approximately 230 strings and some of the strings can go out of tune while others don't, you would need a professional tuner to come over to your home and tune the piano which can cost quite a bit of money (usually around $100 or more) and that piano can take an hour to two hours or more to get tuned up. 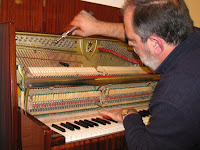 Sometimes, depending on the time of year, the weather, and the humidity levels, pianos can go out of tune multiple times during the year, but there are few people who will have the time & money and pay for the expense of keeping it in perfect tune all the time..it's just not practical so you just live with it. I have actually been into students homes as well as home of my pro player friends who have acoustic upright or grand pianos and many times I have found that their pianos are not in tune...which does not make for the best musical outcome on their piano. 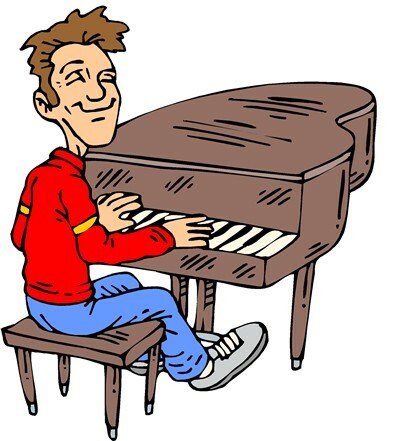 It is interesting to note that there are many people who don't know (cannot hear) when their piano is out of tune or they are just at beginning stages of playing the piano so they just don't have that experience yet. For some people it just does not bother them when a piano is out of tune whether it be a few strings or more than 100 strings out of tune because as I mentioned before, they really cannot hear it for some reason...but I definitely do and playing an out-of-tune piano is distracting and definitely not pleasing to me. It would be like watching your TV and having some of the colors start fading away or have lines or some distortion in the picture you see...you would probably not enjoy watching TV near as much as you would with a picture perfect response...and that's why TV's are becoming better and better with clearer, more realistic TV picture technology. It just makes it more fun and exciting to watch TV when the picture is sharp, clear, and realistic...even getting into 3D technology these days. This is the same for digital pianos: when the the sound is clear, fully resonating, and perfectly in tune, then your music comes out sounding great...even if you don't play well:). Having a piano that stays in tune all the time is the best possible scenario and I know of no one who would argue that point. 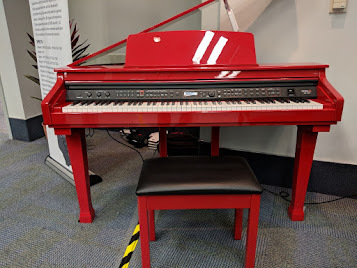 A good new digital piano (most of them) will stay in tune, but for the piano to be good it needs to start off with a good realistic tone and resonance so that the piano sound is like a real piano. Just because a digital piano can stay in tune all the time does not mean you want that sound because that piano may sound tinny, digital, fake, and just not realistic like a real piano.So the key to piano enjoyment is...get a piano that has a realistic piano sound that also DOES NOT go out of tune and you will enjoy your music more than ever without big and expensive interruptions of your piano going out of tune. 2. 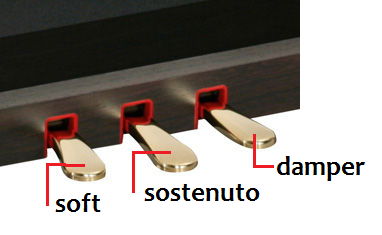 Adjustable volume control - Acoustic pianos have no volume control because they are not electronic, they are acoustic. 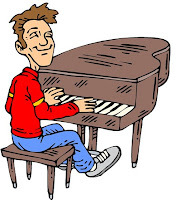 Acoustic pianos are loud instruments by nature and they are either loud or louder, you cannot play them quietly. There is a pedal on pianos (the left pedal) known as the soft pedal, or on grand pianos it's known as the una corda pedal. This pedal momentarily reduces the volume of the notes that are being played, but only if you constantly hold that pedal down with your foot without letting the pedal come back up. This is fine for certain phases or musical passages in the song, but certainly not for the entire song, Also the reduction in volume is relatively small and does noting to help with a loud piano volume problem in the room and throughout the home or building. The only exception to that rule is on some upright type acoustic pianos that have what are known as a "practice mute pedal." 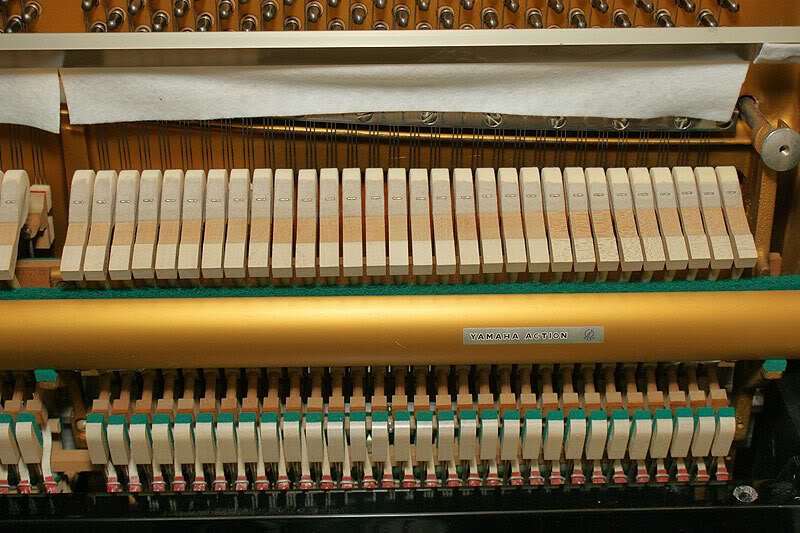 The middle pedal on many new upright-console acoustic pianos has been converted to a practice mute pedal where a rail of felt (left pic) has been placed on a mechanism inside the piano and that rail is lowered into place between the hammers and strings so that the hammers hit the felt before they hit the strings which mutes and reduces the volume of the piano. This function does help lower the volume of the acoustic upright piano, but unfortunately it also mutes or muffles the piano sound itself so that it does not sound clear when playing it. But it's the only solution to lowering the piano volume...although it's still somewhat loud. Also after a period of time/years/usage the white felt on the mute rail starts to become wrinkled and distorted and does not work properly after awhile. So this method of reducing volume is not a long term effective method of lowering the volume on an acoustic piano. On grand pianos the volume is much louder than basic upright-console pianos and playing a grand piano does inhibit conversation or watching TV, etc in the home nearby the piano. In other words, get ready for lots of loud volume if you have a tall upright or much louder volume if you have a grand piano, and there's nothing you can do about that. However, on a digital piano you will never have that volume problem because there is a volume knob, slider, or buttons just like there is on most audio equipment which allows you to turn down the volume to a softer, quieter level so that you can still hear the piano but have it low enough in volume to play it while other things are going on in the home so you don't disturb other people. This is one of the big benefits of a digital piano and allows the player/student to play the piano more often because it isn't getting in the way of other activities going on in the household, studio, or venue. This is also helpful when someone is practicing a song they don't know very well and making lots of mistakes and they don't want everyone to hear those mistakes at a loud volume...it can be embarrassing and frustrating too:). 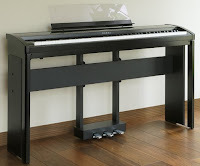 If you have not experienced a digital piano in the home, studio, etc, and being able to raise and lower the volume to whatever loudness or softness you want, then you are really missing out on a good thing versus the problems incurred with too much volume that is difficult to control or reduce on an acoustic piano. 3. Stereo headphones for private practice and playing - I just got through talking about a volume control on a digital piano so that you can lower or raise the volume through the speakers. However, taking that one step further, digital pianos allow for plugging in stereo headphones for complete "private practice." When you plug in headphones on a digital piano, it cuts out the speakers so only the player can hear the piano sound and no one else in the home, but the piano key action noise on most pianos is relatively low so it's usually not a disturbance. The biggest disturbance is the volume of the piano sound when playing through speakers on just playing normally on a regular acoustic piano, so when you use headphones, you cannot hear the piano playing at all. This is helpful if the student or player wants to play a song early in the morning or late at night when people in the home may be sleeping...or perhaps members of the family are taking a mid-day nap...playing piano with headphones can come in very handy and people use them all the time. If you live in an apartment or condo then headphones are almost a necessity so that you can play your music without disturbing your neighbors. It's a win-win situation in that way. I like to use headphones when practicing a new piece of music so I don't drive the rest of my family crazy for them having to hear the same song over and over including hearing all the mistakes I am making:). Also, listening to the stereo piano sound through a good pair of stereo headphones can very very inspirational and enjoyable because you can hear all of the nuances of that piano sound that sometimes are not hear as clearly going through an internal speaker system. Try doing that on a regular acoustic piano...can't be done...there is no private practicing with headphones. There is one exception to the rule that acoustic pianos cannot be played privately with headphones and this is called a "silent piano." Silent (acoustic) pianos have a digital piano sound box attached and connected to an upright acoustic piano so that you can plug headphones into the MIDI sound box attached to the piano and hear the digital piano sound from that box but still play the acoustic key action from the piano with no actual real acoustic piano sound being heard. But those pianos are very expensive (approx $7500 and up from Yamaha & Kawai), still require tuning when playing them normally, still require maintenance for key action and temperature fluctuations, are big and heavy. and the digital piano sound coming from the piano sound box through the headphones may or may not be very good depending on the brand and model. Most people do not own these kinds of pianos and prefer an all acoustic or an all digital piano instead. In the final analysis, I believe that most people (families, adults, kids, seniors, men, women) fall into the category of wanting to play or practice piano at any time of the day or night that is in line with their personal needs and schedule without worrying about what else is going on in the home and disturbing other people in that same home or next door neighbors. 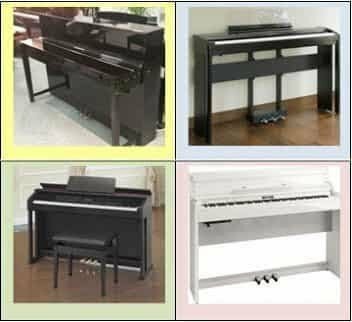 Also most piano shoppers want as little upkeep and maintenance expenditures as possible for their piano. These are the kind of things that digital pianos do so well that acoustic pianos cannot do such as low or no maintenance, relatively no upkeep over many years, and therefore no costs associated with tuning and adjustments, and finally to be able to play the piano at low volume levels or with headphones for silent play. Now really...who wouldn't want that out of their piano!:). 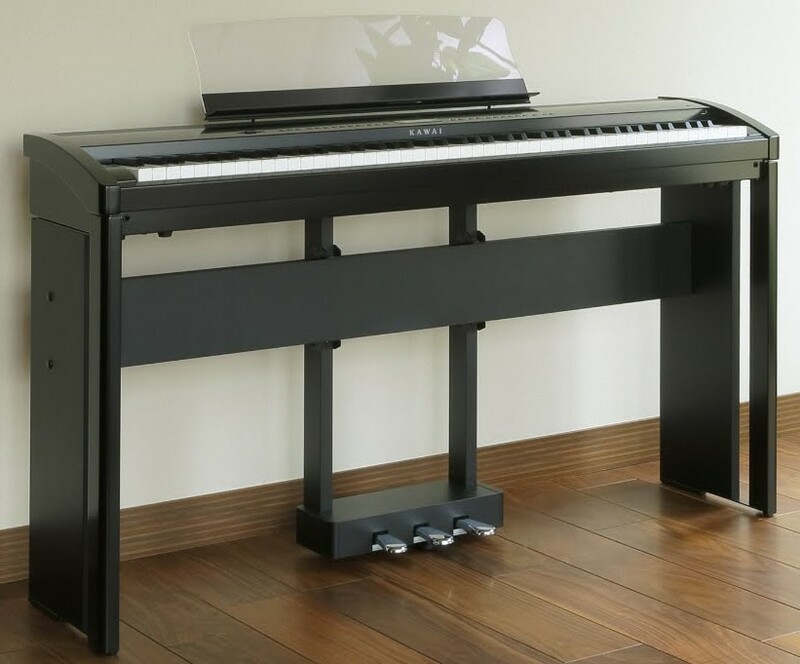 With the high quality of piano sound, key action, and pedaling realism coming out from some of these new digital pianos these days, why would anyone want an acoustic piano anymore?! Actually there still are a few good reasons for wanting to own a real acoustic piano, but those reasons for wanting an acoustic piano are getting less compelling as the years go by and as newer, more impressive digital pianos come into the market at lower prices than ever before. 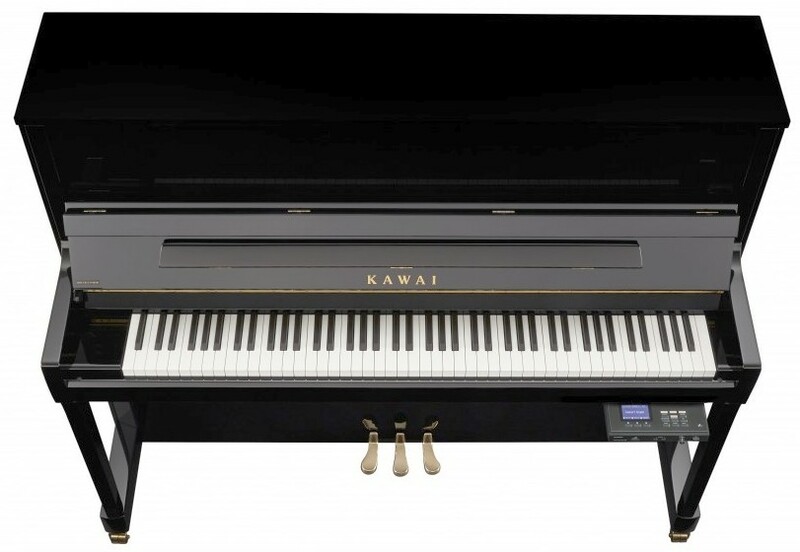 Whether it's Kawai, Yamaha, Casio, Roland, Samick, or other top brands of digital pianos, they cost less money than their acoustic counterparts and offer a lot of things for the money that acoustic pianos just don't offer including USB, WiFi, and Bluetooth connectivity with external devices (iPad, computer, etc) for music education and song playback along with a variety of recording features as well as other useful functions. The bottom line is...it just depends what your budget is, what your musical goals are, what your piano playing experience is, and what is most important to you in shopping for a new (or used) piano. A new digital piano may be the perfect instrument for you and if you have questions about what model and price range may be best for your needs, please contact me by phone (US only) or by email and I can give you further (and specific) advice without charge!